This just in, per WWE’s official Twitter page, Ronda Rousey is now set to defend her WWE Raw Women’s Championship against Ruby Riott on Feb. 17 at the Elimination Chamber pay-per-view. The news comes mere days after an angle was kickstarted between Rousey and The Riott Squad on Monday Night Raw. On the show, after learning that her WrestleMania opponent, Becky Lynch, was suspended until further notice, Rousey stormed down to the ring fired up and itching for a fight. The self-proclaimed Baddest Woman on the Planet proceeded to knock off Sarah Logan and Liv Morgan in back to back one-on-one matches. Rousey then stared down the leader of The Riott Squad hoping for a third consecutive fight. Instead, Riott walked away in favor of tending to the wounds of her stable mates. 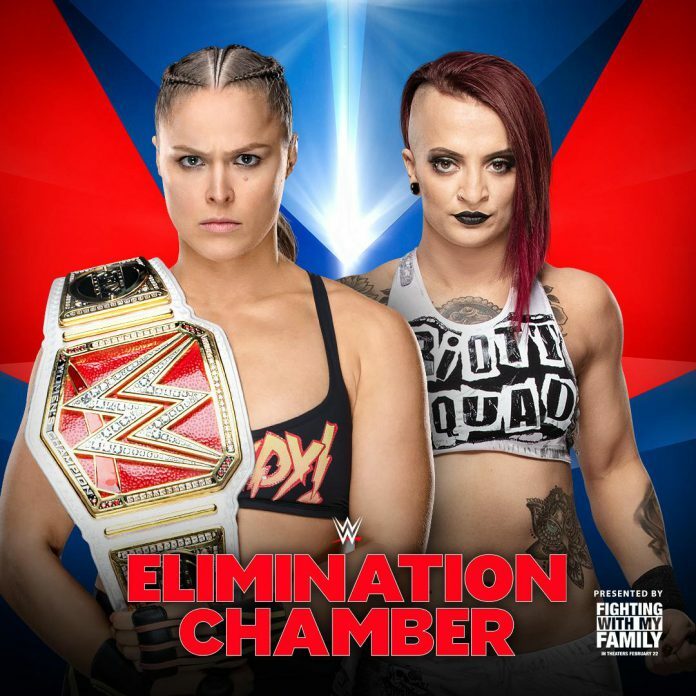 Well, it looks like Ronda Rousey will be getting her fight with Ruby Riott after all and it’ll be at Elimination Chamber with her title on the line. It is worth noting that Morgan and Logan are booked for their own title match inside of the Elimination Chamber to crown the inaugural WWE Women’s Tag Team Champions. This could be a big night for The Riott Squad if all three women strike gold. What do you think? Does Ruby Riott have what it takes to dethrone the former UFC Bantamweight Champion, or is the title safe with Ronda Rousey? Comment below and let us know.